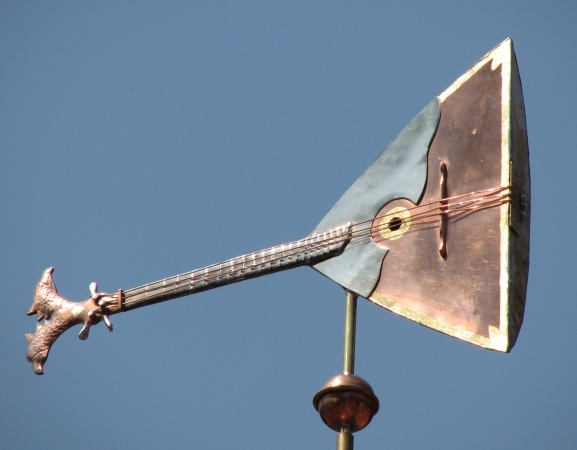 This Balalaika Weathervane was commissioned as a 70th birthday present by the wife of a Russian balalaika musician and luthier. 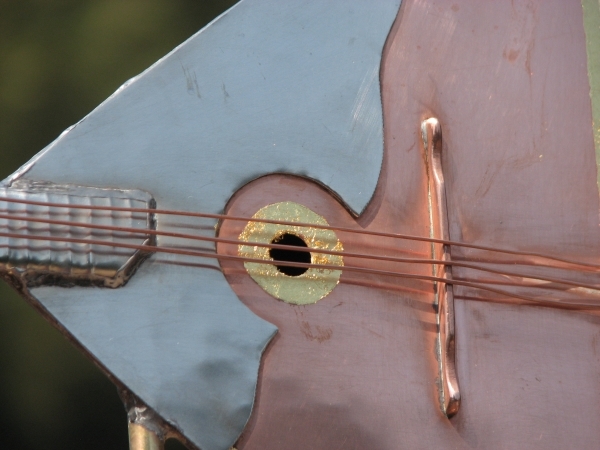 What a delight that was to create. She requested we incorporate the classic logo of the double headed eagle, a symbol common to Russia and representative to many of justice and a just society. 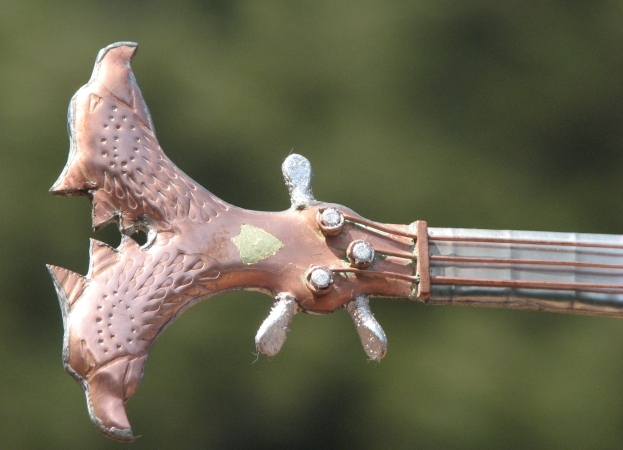 Her husband used the double eagle to embellish the headstock of his personal balalaika. 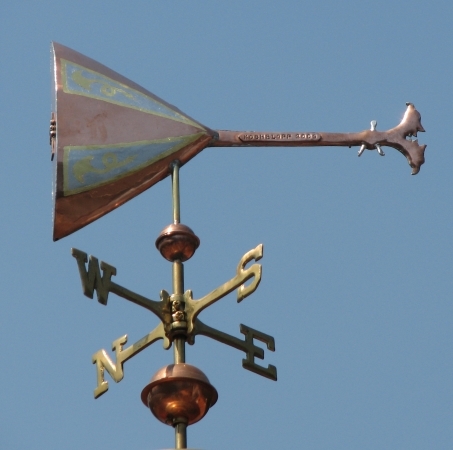 This is a nearly 3 Dimensional weather vane, crafted in copper and nickel silver. 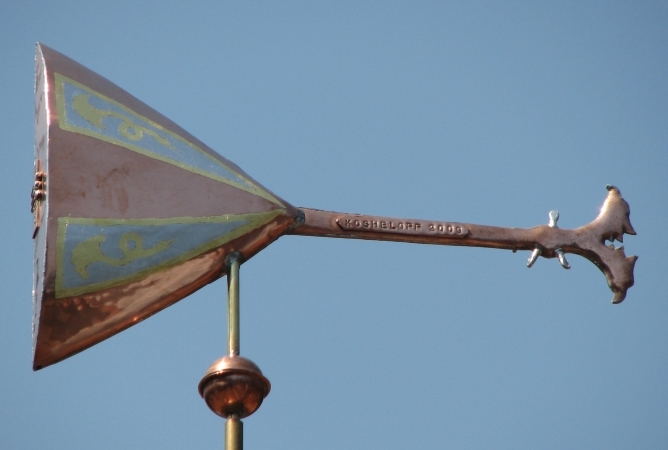 It has optional gilding in gold and palladium, creating bright detail that will be as lively as a balalaika for decades as the copper weathers, darkens, and eventually patinates. 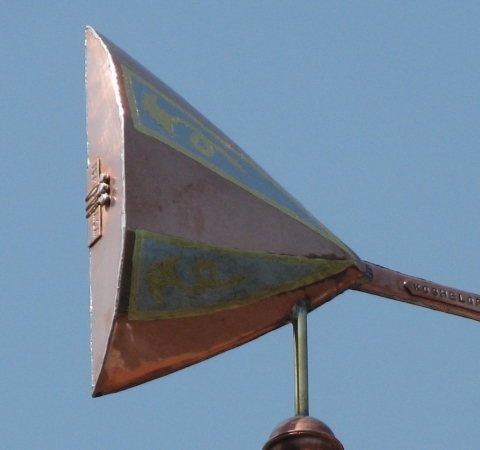 There is an inscription plate on the neck of the instrument, and ‘lucky pennies’ were sealed in for both the year of his birth and the year of manufacture. 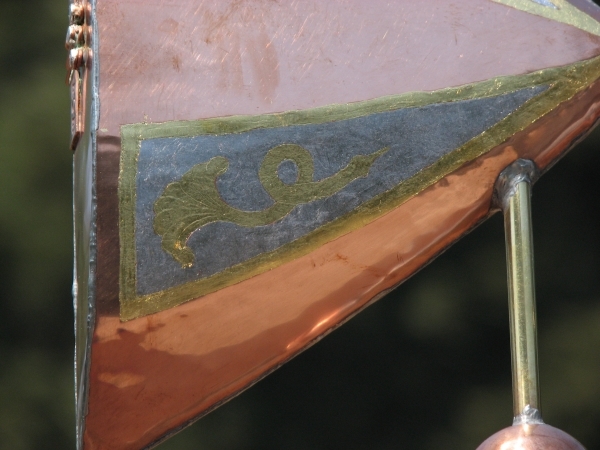 Our skilled artisans truly enjoy creating pieces that have such exacting detail. 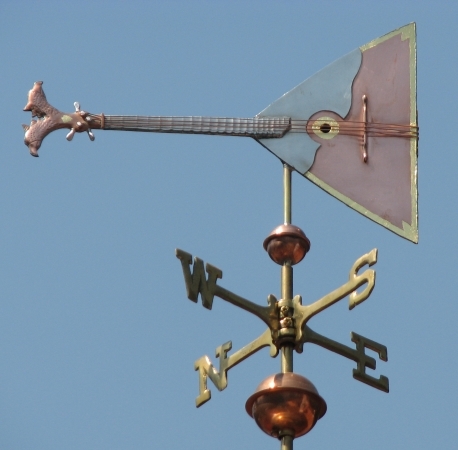 If there is a guitar, car, or piece of machinery that is emblematic of your life’s richness, we would love to discuss creating a weathervane that captures that for you.